Swedish fashion label Acne has designed a blanket in collaboration with textile company Klippan. Using their super soft double-woven wool, Chained has that luxurious touch and feel we all want on a chilly, lazy afternoon on the couch. It is available in black/grey and white/grey. We’ve also spotted a picture of Chained in navy/pink here (Update 2017: Product no longer available). 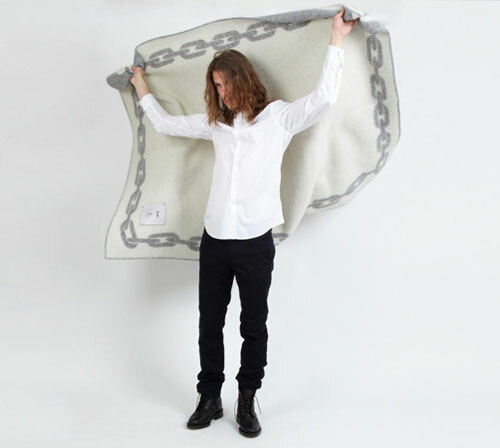 Can i get this Acne Klippan Chained blanket? I know there are Acne Studios stores in Tokyo and Osaka. Maybe they would know too.